Set with 8 Model Air colors in 17 ml./0.57 fl.oz. 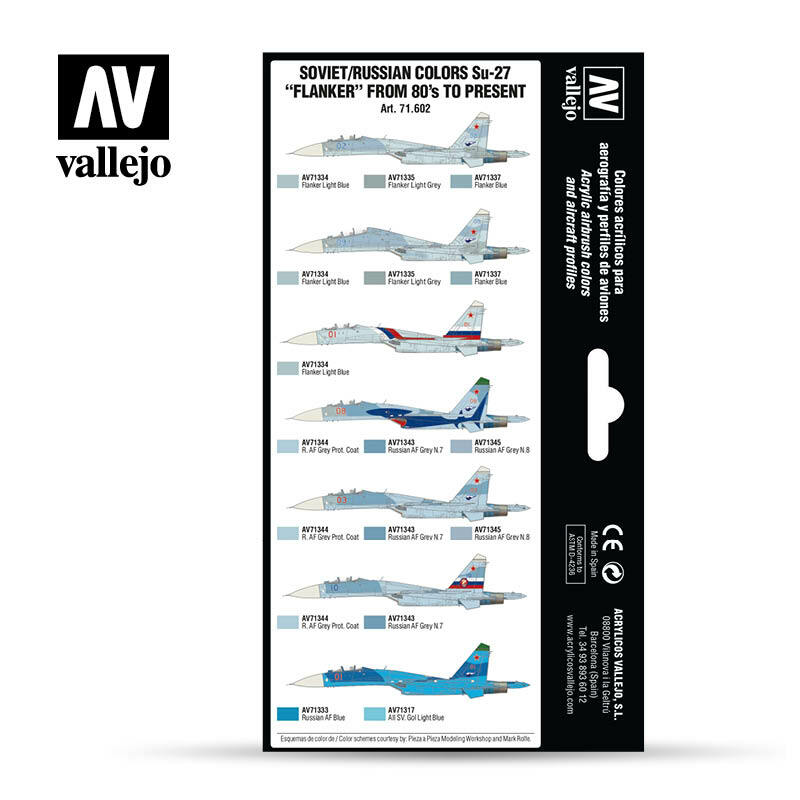 bottles, developed to paint the different models of the Sukhoi Su-27 “Flanker” of the Soviet Air Force (actual Russian Federation). The set includes 7 mimetic patterns. The colors have been formulated on the basis of a rigorous investigation, based on the analysis of the existing material data on the subject, as well as an exhaustive search in the still hermetical and erratic official information available. 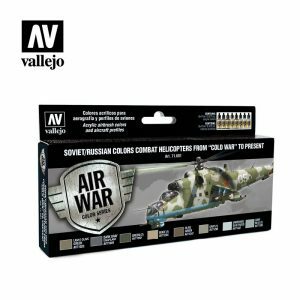 The set includes profiles of the aircraft, indications of the colors needed, and a detailed description of their application.